Introducing a new and improved version of the Demand Heat Map. Optimise your productivity and driving hours with this improved feature! Starting 24 September 2018, we will be releasing this improved feature to all driver-partners. 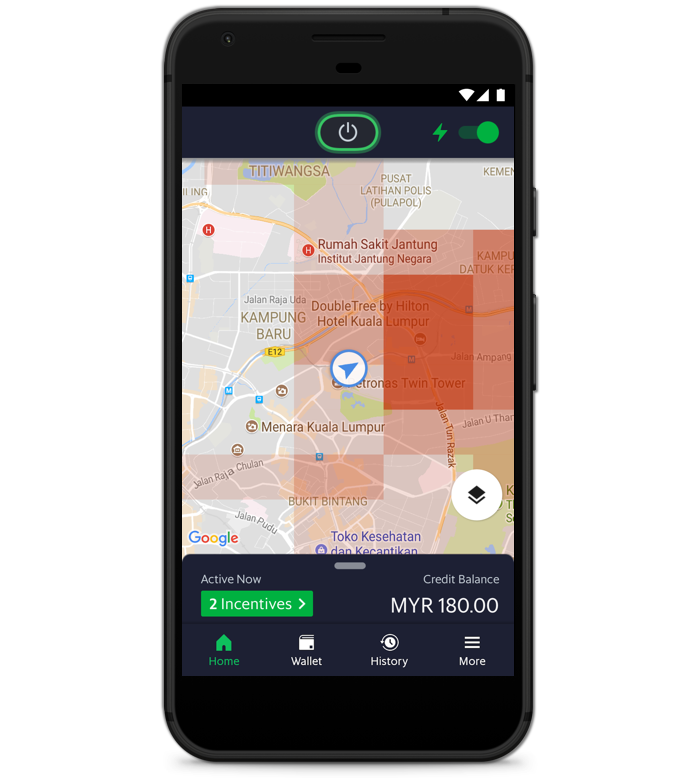 *Do make sure that you’re on Grab Driver app v5.46.0 (Android) / v1.33.0 (iOS) and above. Simply follow the instructions below. 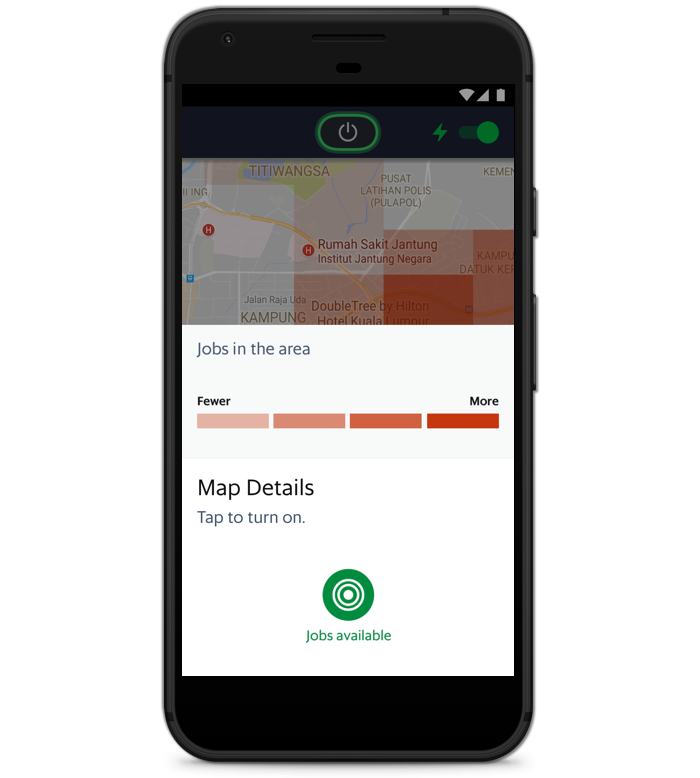 Tap on ‘Jobs available’ to enable and disable the Demand Heat Map. How often does the Demand Heat Map refresh? The Heat Map refreshes every 5 minutes. As demand increases in an area, you’ll see the shade of red become darker. If the shade of red becomes lighter, demand in the area is decreasing! Will I able to zoom in with this Heat Map? Yes! Pinch or double tap your screen to zoom into the map. You can also scroll around to check different areas. Will going to an area with high passenger demand mean I’ll definitely get a job? We can’t guarantee that you’ll get a job, but going to a high-demand area will definitely increase your chances of getting a job! Will going to an area with high passenger demand mean I’ll get high-fare jobs? The Heat Map shows areas with demand-supply imbalance. As such, you may or may not get high-priced jobs in these areas. Both my friend and I are on the updated Heat Map but we see different high-demand patterns. Why is this so? The Heat Map shows a combined demand for the different service types you have enabled. To see the same high-demand pattern, please ensure that you and your friend have the same service types enabled. I tried enabling the Demand Heat Map, but received a pop-up asking me to turn on other service types. Why is this so? This is because the service type(s) you have currently enabled has insufficient demand. Please enable other service types under ‘Settings’ to see if there is demand for those services.